1. 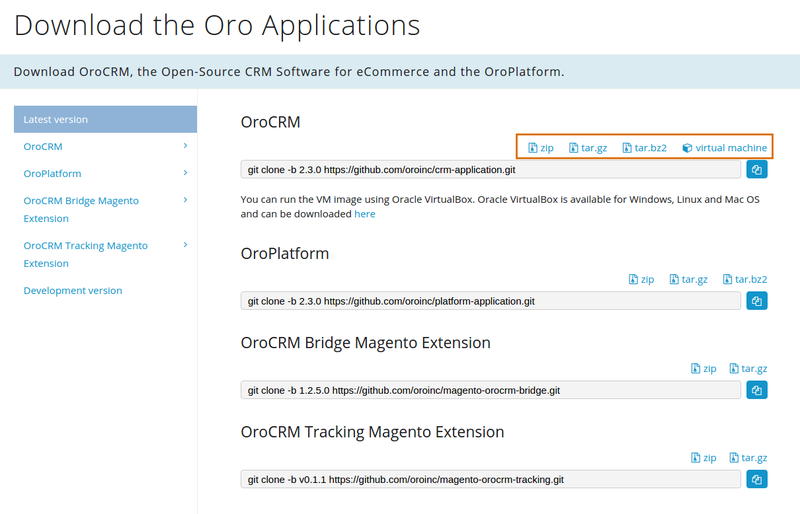 Download the latest version of the application source code from the download section on oroinc.com/b2b-ecommerce. Click the zip, tar.gz, or tar.bz2 link to download the archive.